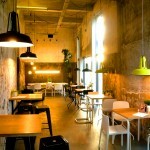 Let me guide you through some of my hotspots at Strijp S Eindhoven. The area used to be owned by Philips and was a forbidden city, but it has been transformed in recent years into a vibrant place of urban culture, lots of creativity (designers, Start-ups), great food, art, music, festivals and parties. Go and have a look and when visiting the Dutch Design Week or Glow be sure not to skip Strijp S.
Below you will find a few of my hotspots Strijp S has to offer…. Pastry club – You don’t need to be a sweettooth to enjoy a visit into the world of the Pastry club. Enjoy your coffee or tea in the cellar of the former Machine Room of Philips. 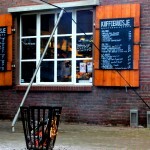 Koffiehuisje – On the centre square (Ketelhuisplein) you will find one of the smallest hotspots of Eindhoven. They serve breakfast, lunch, (home-made) pastries and coffee on about 6 square meters and offer a great view of the area of Strijp S.
Onder de leidingstraat – Great place, good feel, nice urban interior and a good place to grab a coffee, lunch, or have dinner (or take it away). Really good biological food and also a small shop to get your most needed greens. 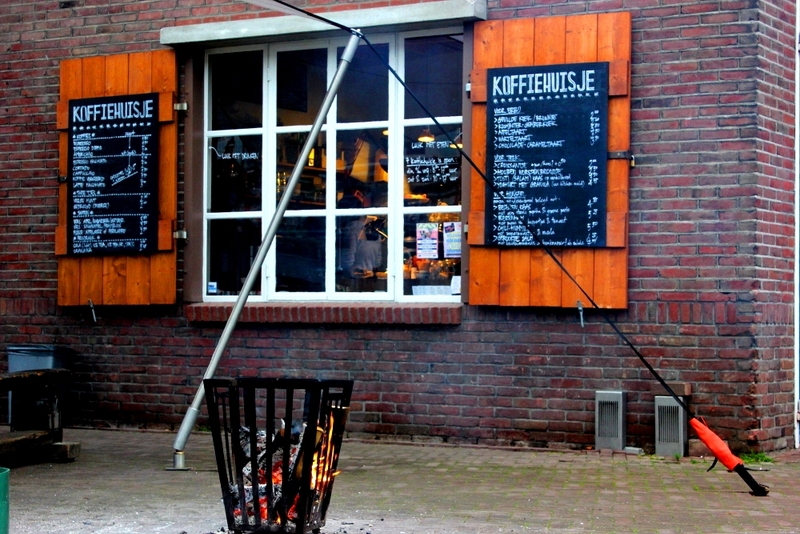 Ketelhuis – A nice place to have dinner overlooking the central square of Strijp S. In the summer the terrace is nice and they light up the big BBQ. They offer lots of activities too. Check out their website. Radio royaal – This restaurant has an open kitchen, the interior offers lots of machinery features from the old days of Philips, and offers great dinners. This is really a treat! Soul kitchen – Daily choice of two menu’s and a great place to have a well-priced and delicious dinner, sometimes with live music. Soul Kitchen provides jobs in a learning environment for adolescents in need to develop skills to become part of the working community. 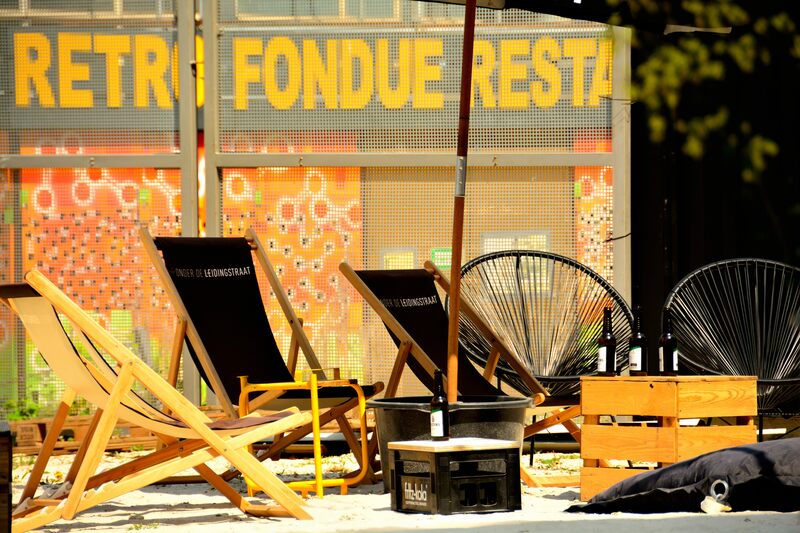 Another day at the beach at Strijp S.
Retro fondue – In the old washrooms of one of the old Philips-buildings is this funky restaurant that serves different kinds of fondue. Really surprising restaurant. Take a look! Wynwood – I haven’t been here yet. Supposed to be very culinary and the dishes look good. Let me know what you think, leave a comment below. I have recently discovered that Bagel & Juice has a good terrace, covered by a lot of sunshine. I went there for coffee and got a free tan. Try the delicious ‘Rocky Road’ and some of the fresh juices when you’re there. Nice view from Pastry Club at Strijp S Eindhoven . 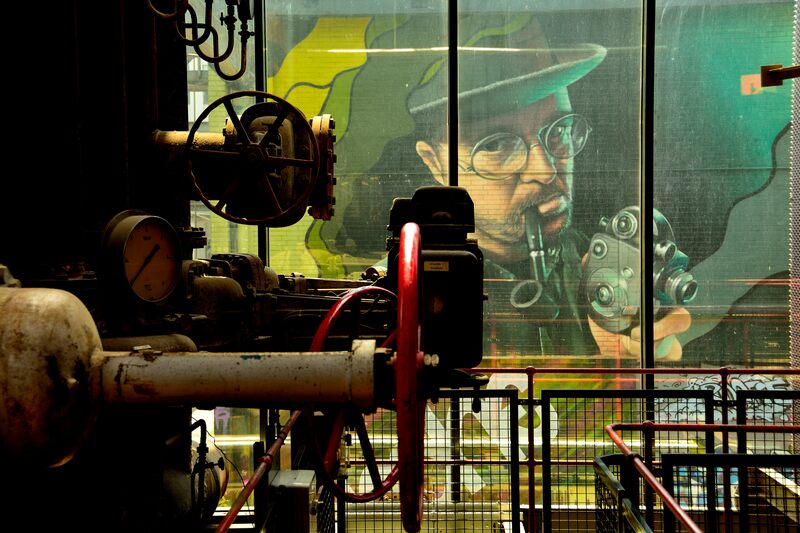 Natlab, the former laboratory of Philips is being used for theater, expositions, (cult / art) movies and a restaurant. They have a sunny terrace and the food is really worth going for a movie. In summertime they show outdoor movies. Click here for Natlab’s Programme. Its little brother Pand P (formerly Plaza Futura) is situated on the Leenderweg in Eindhoven and is also a nice spot to visit (outside of Strijp S and the city center). 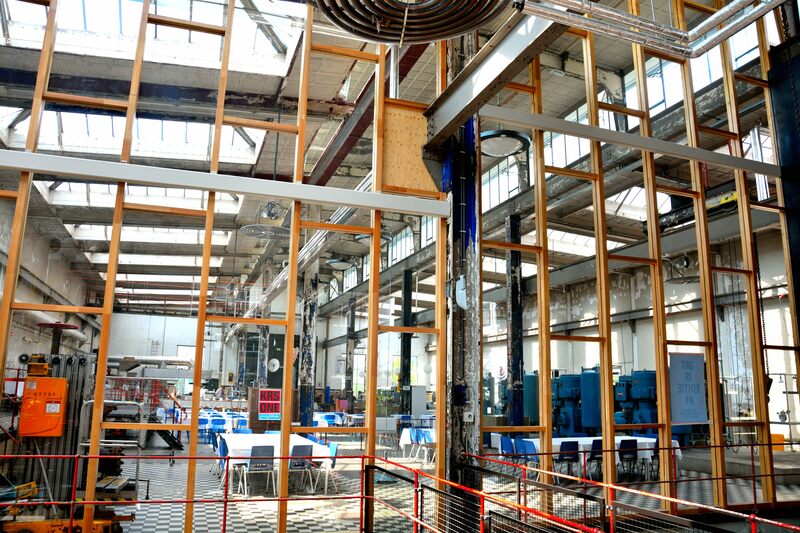 Klokgebouw offers al kinds of big concerts, dance events, fairs and other events (like the Dutch Design Week). For more info visit their site. The Blue Collar Hotel on Strijp S offers a small pop-venue where you can enjoy theatre, live concerts and DJ’s. The hotel has a restaurant on one of the top floors. 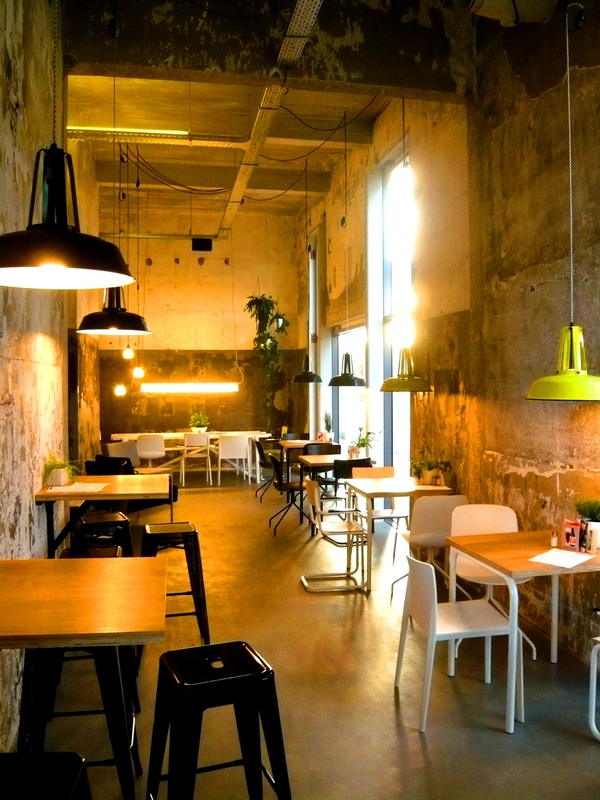 I want to have dinner (or breakfast) here soon and enjoy the view of the skyline of Eindhoven. The spectacular looking rooms differ in price range, from hostel-kind to really nice and luxury Burlesque rooms and a special Jack Daniels Room. There’s a small terrace and you can grab a good lunch here. PopEI is a small Pop-stage/ bar-restaurant / sound studio / (pop)Talent Factory at the other end of the Klokgebouw-building. 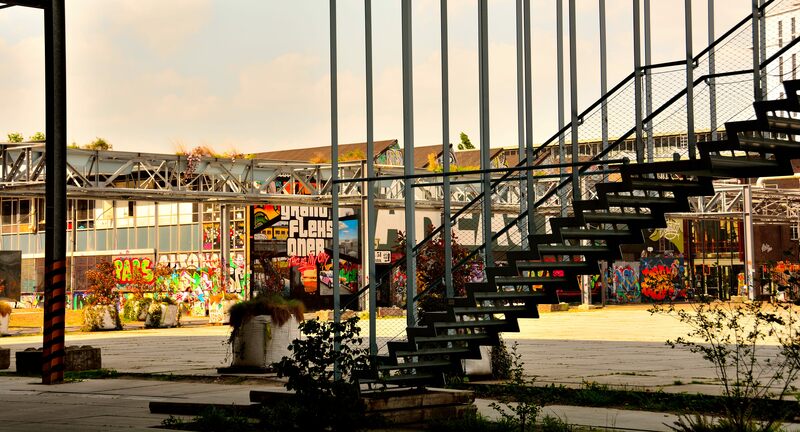 It focuses on Pop-music or pop-bands in Eindhoven and its surroundings. Usually there is live music on stage or on sundays you can enjoy live ‘singer songwriter’ music in the bar area. There’s a little beach in the summer at Onder de Leidingstraat that offers movies, cocktails and music. 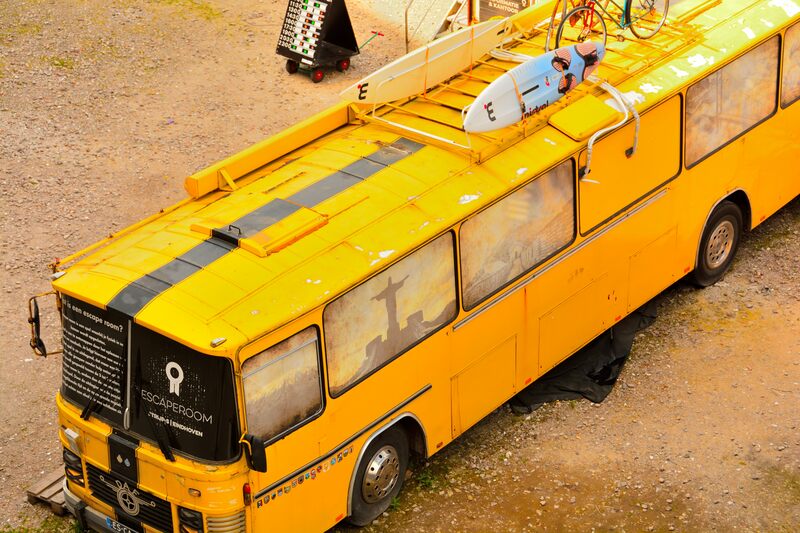 Next to the beach is the Escape Room. I haven’t been here yet, so let me know what you think by leaving a comment below (if you got out 🙂 ). The Ketelhuisplein is kind of the centre location of Strijp S at the moment and offers lots of activities such as dance events, concerts, markets, and other stuff. In 2015 it was the venue of amongst others Faithless and also the best Dutch DJ’s in the world ‘The Flying Dutch’. Nextdoor is an indoor skatepark, Area 51. Even if you’re not a skater it’s cool to see the youngsters make their spectacular moves. 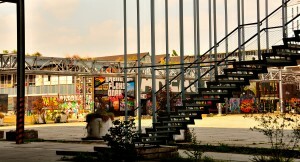 The building is surrounded by really nice graffitti art on the walls, so just take a stroll in any direction and enjoy the scenery. Next to the Ketelhuisplein you will find Plugin City, a creative collective of designers, architects, artists and other likes. Plugin City offers lots of activities and workshops, of which I did a Photography workshop in one of the recycled shipping containers. Strijp S offers a lot of design shops, ranging from various sorts of furniture, (pret-a-porter) clothing and art. Some of the shops are gathered at Urban Shopper and at Vershal het Veem you can eat, drink, walk around and also shop for your finer groceries. It mimicks the look and feel of a Spanish-indoor-market. 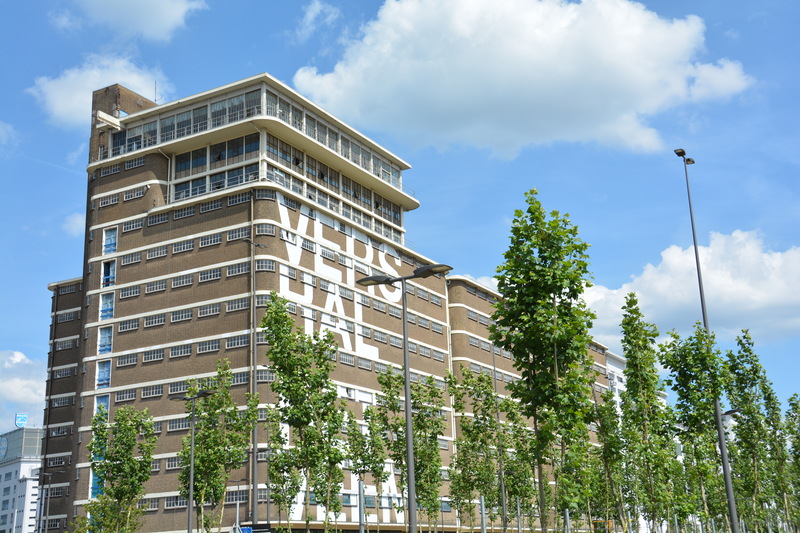 A few floors above the market you find Enversed, Eindhoven’s first Virtual Reality Gaming Center. Every third sunday of the month there is a ‘Feel-Good-Market’ outside on the Ketelhuisplein (or when it’s raining) inside the Klokgebouw. When you have a whole day to spend @ hotspots Strijp S, don’t forget to visit Strijp R, because there are a few gems there too, and you’re close enough to go and discover them. For other hotspots in Eindhoven please click on the type of hotspots above, go to the overview page or visit the page with the categories. To follow the latest hotspots go to my Facebook, twitter of instagram page. Enjoy! 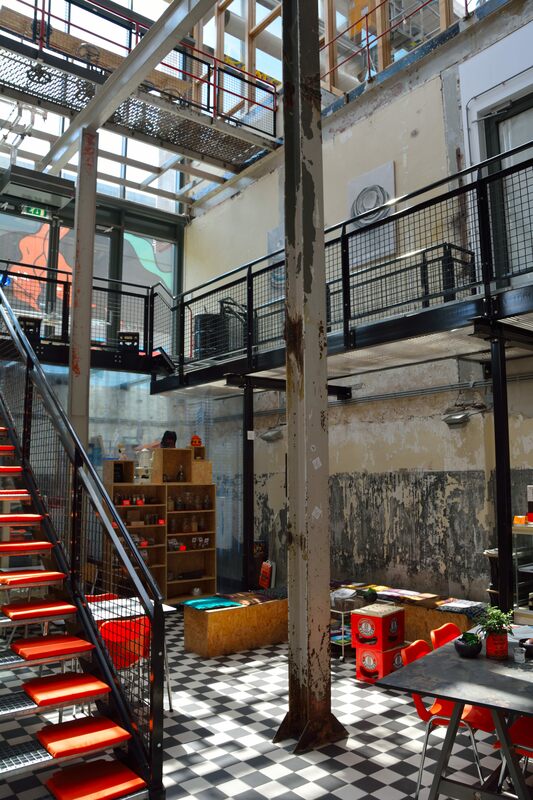 22 juli 2016 | Filed under Art spots, Breakfast spots, Coffee spots, Dinner spots, Drink spots, Guide Eindhoven, Lunch spots, Market spots, Terrace spots. great website, one more wish: add (printable) maps! Two places are still missing in your list: Caffee Allee @Torenallee 22 and Broeinest Caffee @Torenallee 45. Come and take a look and enjoy these relaxing places. We serve some fine food and we give people with little job opportunities a place where they can learn and practise their cooking ans serving skills. Thanks for the tips, I know about the good work Robin Hood does for these youngsters. Tried to check out Broeinest last week, but they close pretty early.